Proudly hosted by Tuis|Home, the Tuis|Home Theatre will delight and inform you at Johannesburg HOMEMAKERS Expo with celebrity-lead presentations, tastings and hands-on demonstrations. Expect all the stops to be pulled out with morning coffee tastings, food demonstrations, paint-technique masterclasses, pop-up shops and special offers. As usual, there’s the bonus of lots of giveaways, prizes and sneaky take-away treats! Rub shoulders with the Tuis|Home Theatre special celebrity guests. Actor, Armand Aucamp and celebrity chef, Renette Vosloo will be telling their stories and making some delicious treats during their cooking demonstrations. 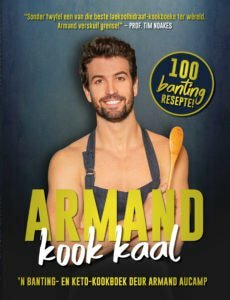 Armand will be cooking up a storm with recipes from his cookbook, Armand Kook Kaal while Renette will share her secrets from her book Die Rooitamatie Storie. Learn how to transform almost anything into a beautiful showpiece with chalk paint expert Nadine Vosloo of Tjhoko Paint. For the gin beginners or fanatics. Local gin producers, Triple Three Gin, will take you on a taste exploration of the best ways to enjoy this trendy drink. For those who need a little pre-lunch pick-me-up, Sihle from Sihle’s Brew Roasted Coffee will host daily tastings and chats. Hear his incredible success story and find out about how he is training and inspiring young baristas.More importantly, taste some delicious, locally-produced coffee. Tuis|Home Theatre is a not-to-be-missed experience at Johannesburg HOMEMAKERS Expo 2019. Enjoy a cup of coffee and a chat. Armand Aucamp cooks from his book, Armand Kook Kaal. 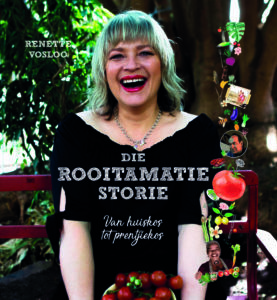 Renette Vosloo shares her food secrets. Nadine Vosloo shows you how easy it is to transform almost anything into a showpiece with chalk paint. Locally-produced Triple Three Gin offers a masterclass with tastings. The Cape Town HOMEMAKERS Expo will be abuzz with creativity, showcasing an eclectic mix of one-of-a-kind craft and design in the ARTISAN square.